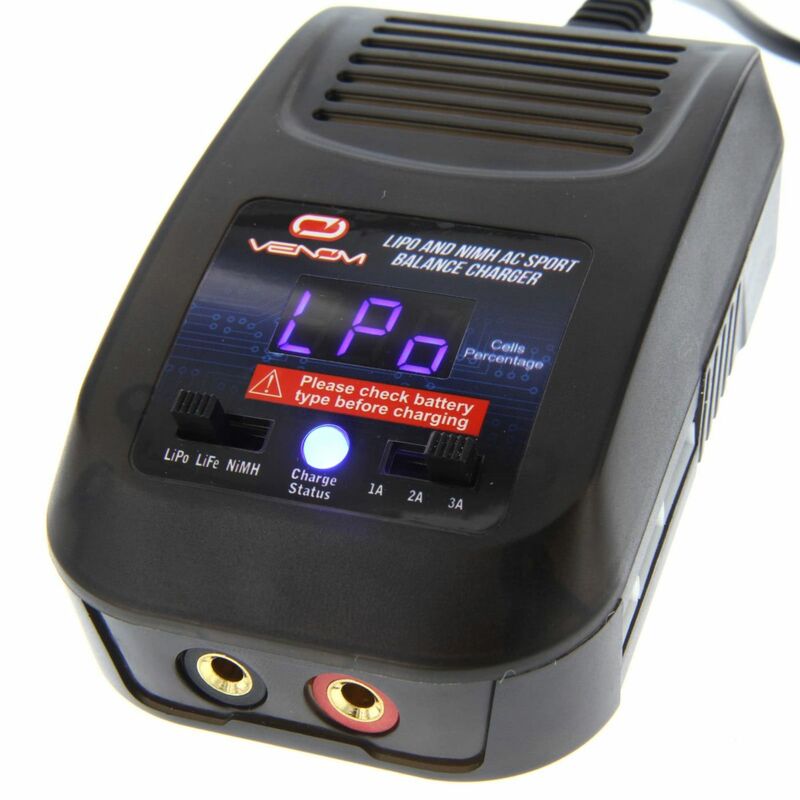 The Venom LiPO and NiMH AC Sport Balance Charger is a peak detection charger that allows you to quickly and safely charge your LiPO, LiFE, NiMH, and NiCD battery packs. 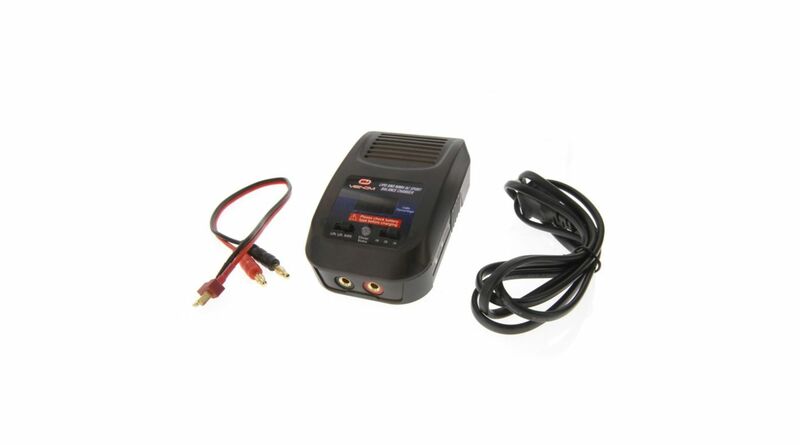 The charger can charge 4, 5, 6, 7 and 8 cell NiMH battery packs and balance charge 2, 3, and 4 cell LiPO battery packs at a user selectable 1, 2, or 3 amps. 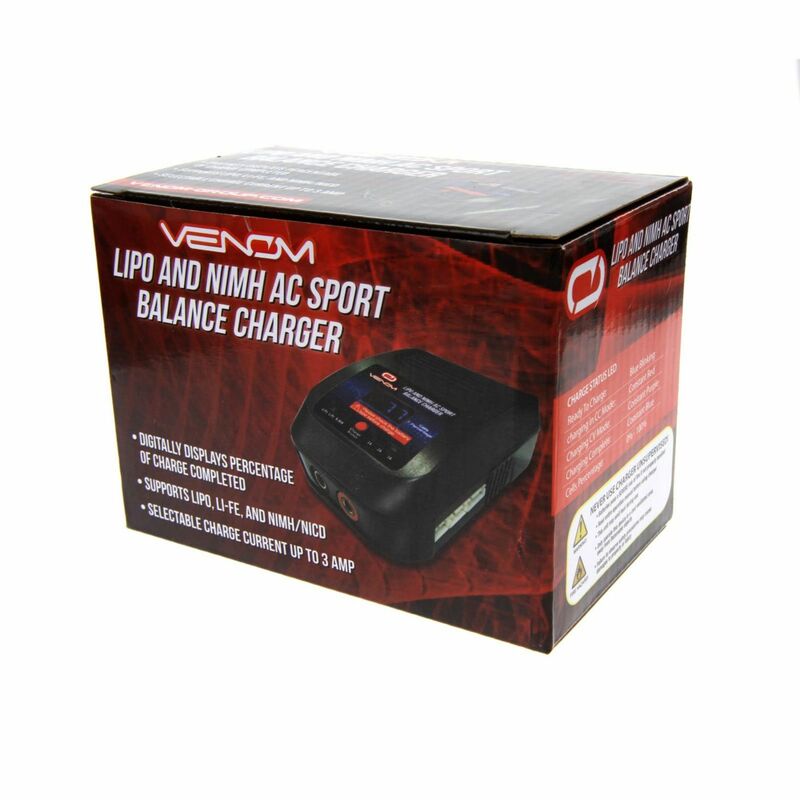 The Venom LiPO and NiMH AC Sport Balance Charger includes a built-in power supply, charge status LED and LCD display to show the current percentage of charge. Charging batteries has never been easier!